We’re about a month away from releasing Fictorum, with our plan to release on August 10th! We have added more events and polish to our game in version 0.9.6, which will be our last major beta release with v1.0 coming soon. Greg whipped up a quick trailer showing off some destructive spells in Fictorum. The scroll holder isn’t final yet, but this gives a good idea of what our new event window will look like. We’re really happy with how it’s come out. Also we’ve added a significant amount of new events to Fictorum. This should help give more variety as you play through Fictorum. 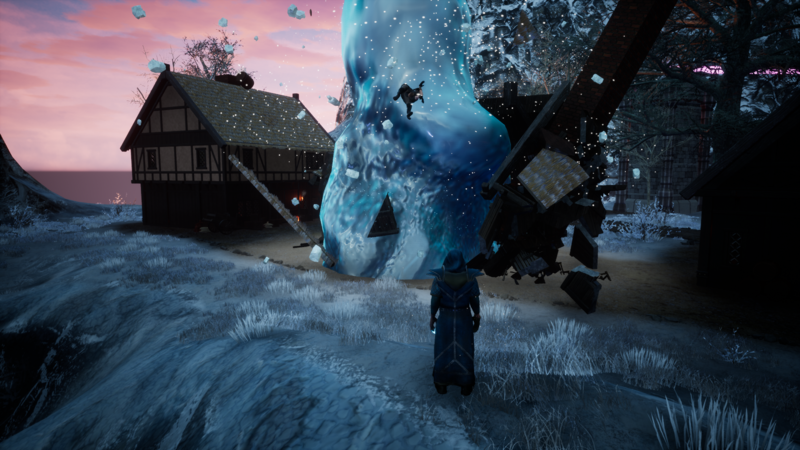 Chip has been hard at work making sure Fictorum looks as good as we can make it and has made some modifications to some of our visual effects. Shadows are lighter, visibility should be good on all weather/times.